Practice during the summer is an important way to reinforce ideas and concepts learned during the past school year and prepare for the upcoming school year. 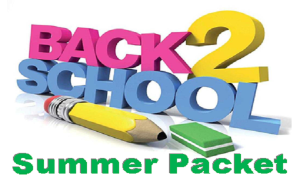 Each grade level has an assigned packet and must be completed by the first day of school. These documents are downloadable in pdf. These are large files, therefore, please allow a few minutes for the file to load. 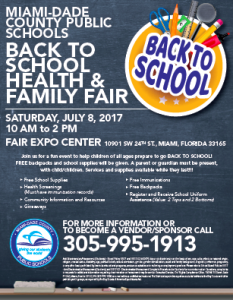 Join Miami-Dade Schools at their Back to School Health and Family Fair.